This bill may be under the guise of protecting the environment yet I wouldn’t trust any demorat to not use this as a backdoor entry into some form of gun control. As reported by SF Chronicle: A bill before the California Legislature aims to make paper receipts a thing of the past. 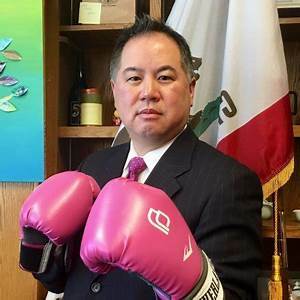 Assemblyman Phil Ting, D-San Francisco, on Monday filed AB161, which proposes to automatically opt-in customers for electronic receipts in any retail transaction, including at stores, restaurants and anywhere a company issues paper receipts, unless a customer asks otherwise. He said it would be a first for the country. Businesses found not to be in compliance with the law, if it passes, will be given two warnings before getting fined $25 a day for each day it’s in violation, but fines will be capped at $300 annually. It would take effect on Jan. 1, 2022. The move toward more digital receipts could benefit Bay Area companies like Square, Poynt, and Clover, whose terminals make it easy to text or email proof of purchases. A law change like this could motivate more companies to use such checkout technology. Data from Square shows that its sellers already send more than 10 million digital receipts each month, a figure cited by the bill. Square, Poynt and Clover did not immediately respond to requests for comment Tuesday. On the environmental front, a report in May by Green America, a consumer advocacy group in Washington D.C., found that 10 million trees and 21 billion gallons of water in America are used to create paper receipts. Green America is a backer of the bill. Plus, paper receipts aren’t effectively recyclable, proponents of the bill say. “For many years a lot of forms of paper that weren’t truly recyclable, all of that ended up in a bale of mixed paper that got shipped to China,” said Nick Lapis, director of advocacy at Californians Against Waste, which is backing the bill.